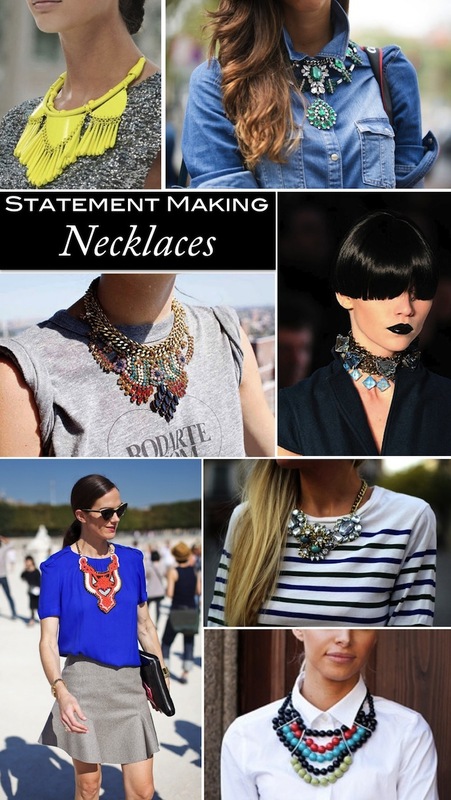 A Bit of Sass: Stand Out Statement Necklaces! Best way to take an outfit from "ho hum" to "oh wow" in 60 seconds? Put on a statement necklace, of course! Style stars know that the way to grab a cameras attention is to hang a bold bauble around your neck. Tuck your statement necklace under your shirt collar for a sassy twist on corporate casual or layer some bling over a casual t-shirt to create an unexpected evening outfit. Spend a little or spend a lot, a fabulous face framing statement necklace can be found at all price points. When it comes to collar necklaces, colorful resin can make just as big as an impact as Swarovski crystal, as long as you chose colors that are complimentary to your hair and skin tone (not necessarily your outfit). With all the fabulosity out there at the moment I had a hard time choosing a favorite necklace. What about you - do you prefer a bit of BaubleBar bling or are you into an investment from Valentino? There's no such thing as having too many statement necklaces. Love your picks! These are all such gorgeous picks. The one the girl is wearing with the striped top is definitely my favorite! I do like statement necklaces. They make an outfit. These are lovely choices. Too pricey for me, but I'd like to find similar. 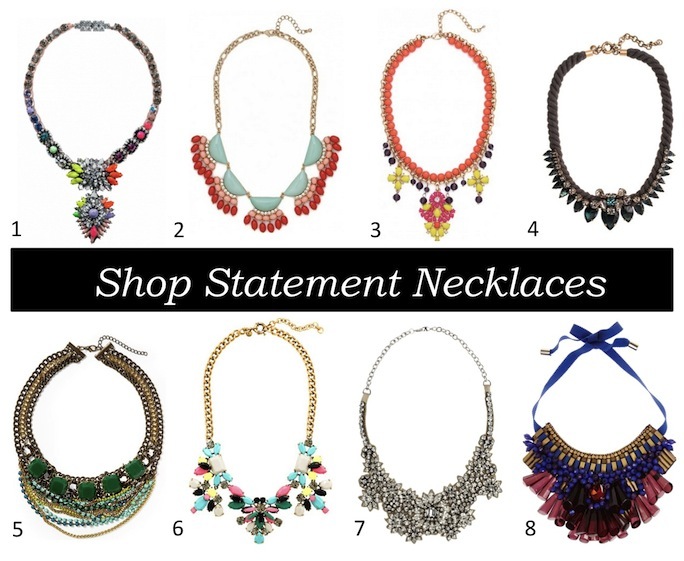 Statement necklaces are so in right now! Love your choices #1 and #6. HUGE fan of the statement necklace...my motto is to pile it on!! I probably lean towards JCrew and Baublebar...so that I can buy more!! Beautiful! I totally agree with you! I love statement necklaces! I really love number 6. Of course I like the two most expensive ones. They're seriously gorgeous though! I love the ones with a bunch of crystals on them, or brightly colored ones like that first yellow one. Following you on GFC and Bloglovin'!